Ask fellow campers about "Zuni Village RV Park" and nearby attractions. There is a laundromat.Staff was extremely helpful and friendly. We camped at Zuni Village RV Park in a Motorhome. Gravel spots, close neighbors, one bathroom and shower for the whole campground. Site was fairly level, access was good. We camped at Zuni Village RV Park in a Motorhome. Great spot to explore Kingman and the Route 66 attractions there. The roads are paved and easy to navigate. Sites are dirt with gravel, nice and long for our 43 foot fifthwheel and wide enough for our big F350 Dually to park. All sites are 30 ' x 60 '. Lots of tall trees between sites give nice shade. The park is well maintained and clean. It's quiet. It's close enough to Hwy 40 to be convenient, but far enough away so that it's quiet. The hookups were conveniently located near the center of the space and work well. They have no cable, but the OTA is very robust with about 30 channels. Our AT&T Cell and Verizon WIFI work well here as does our satellite. We did not get good park WIFI from our site but recognize we are here on a weekend and the park is full. Amazingly large and modern laundry room. Small but clean pool. Close to everything, Shops, attractions, services. On a main road but quiet at night. The staff in the front office was a gem. We camped at Zuni Village RV Park in a Fifth Wheel. It's mainly for long term people, who by the way keep their area looking nice. They are also pleasant and friendly. There are just a few spots for on the road users. The woman is in office was pleasant and informative. The spot we were at was close to the street and it was loud. There are lots of trees for people that live there but small ones for us. It was HOT 106 and there was no shade. This is a decent campground, neat and clean. We went out for Mexican food....worst I've ever had, uneatable. We camped at Zuni Village RV Park in a Motorhome. Am not crazy about Kingman! Easy spacious spaces. Shade trees. Dirt/gravely surface, good hookups. Adequate WIFI. No freeway noise. We camped at Zuni Village RV Park in a Fifth Wheel. Things that I like about the park. The roads are paved, so no dust. The park is well maintained and clean. It's quiet. It's close enough to the 40 to be convenient, but far enough away so that it's quiet. We were in #50. It was long enough for our 35' 5er and truck. The power supply was good with both 30 and 50 amp. The hookups were conveniently located near the center of the space. Pay attention to the trees. I didn't, and parked with the tree right in front of the satellite. They have no cable, but the OTA is very robust with about 30 channels. The wifi was very good and free. 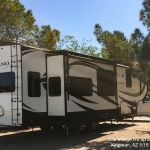 We camped at Zuni Village RV Park in a Fifth Wheel. Good eats are downtown on Beale Street. (old Route 66). Excellent WiFi. Small but clean pool. Close to everything, Shops, attractions, services. On a main road but Quiet at night. Good rates. Flat open campground. We booked 1 night, then a second, then 2 more. Plenty to see and do around Kingman. We camped at Zuni Village RV Park in a Motorhome. Site 6, $40 with GS for a full service 50 amp site. Sites are large for a private campground (double wide) with many sites having at least one tree that provides some shade. Each site has a picnic table but no BBQ/fire pit. There is a laundry room and a small pool. WiFi is surprisingly good - reliable and reasonably fast except during high usage times such as dinner hour. The back section of the park appears to have more trees but is for long-term renters. They sell propane by the gallon. The park is located close by to a WalMart SS and a Safeway. We camped at Zuni Village RV Park in a Fifth Wheel. We stayed just one night, but wouldn't have minded staying more. This is simple campground in an industrial area but they have kept the place clean and neat. The bathrooms, showers and laundry are well maintained. The site are all gravel, but very level, wider than what you would expect, have shade trees, and, again, are well maintained. There are long-term/permanent people, but there are plenty of sites for everyone else. And the permanent sites show show pride of ownership. Gentleman in the office is friendly and gave us a couple of ideas on where to go as we continued on. 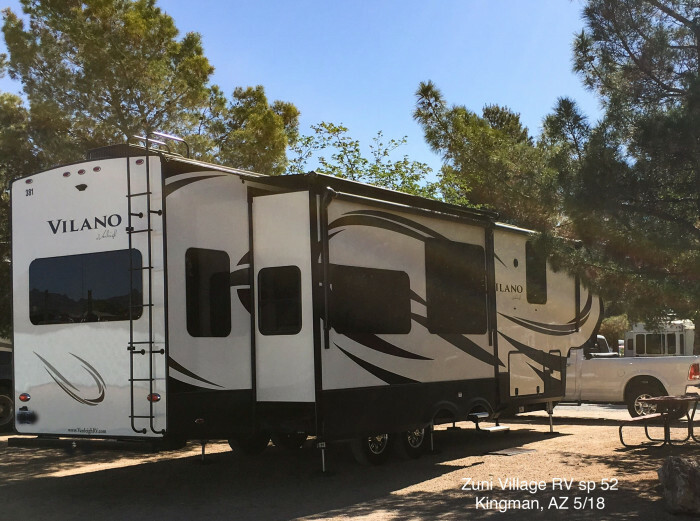 We camped at Zuni Village RV Park in a Fifth Wheel. The park is very well kept. The washrooms and showers were above average with respect to cleanliness, water pressure, etc. The laundry facilities were also excellent, with lots of books and a TV. Cable did not work for us, but there were lots of air channels. The staff were very friendly and helpful and the pull through site we were in was quite spacious. 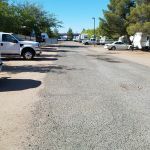 We camped at Zuni Village RV Park in a Travel Trailer. Just an overnight stay. Easy to get to, staff friendly, place looked tidy. Didn't use the facilities so I can't say on those. Easy maneuvering our 40' 5th wheel, space was more than adequate for our needs. Full hook up but no cable at our space. Will stop here again. We camped at Zuni Village RV Park in a Fifth Wheel. This wasn't bad for an overnight stop while traveling through. A little noisy and pretty dusty but we've stayed in worse. We camped at Zuni Village RV Park in a Fifth Wheel. A good overnight spot, the park is clean easy to get to, the roads within the park are wide and paved the site was level everything you need. It is in town and convenient to the freeway. We camped at Zuni Village RV Park in a Motorhome. Good place for a stop over or short visit. We stayed 1 night. It is in town and close to a lot of things. The guy running the office was very nice. Husband used the shower and said it was clean. Flat, level sites. Full time residents there and some are questionable. The directions to get there by gps are confusing. The $19 was because we are Passport America. I would stay there again. We camped at Zuni Village RV Park in a Fifth Wheel. Well cared for. PROS: Accommodating office staff. Best price with Passport America: $20/night. Level tidy sites. Easy access. Eight-washer clean laundry. Love the horseshoe pit. Well groomed gravel. Full hook-up w/50Amps. 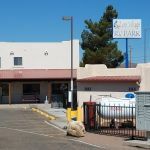 Close to all Kingman attractions: RT66 museum, greasy spoons, Walmart, Electric car museum, etc... Good wifi at office. AT&T 15MBPS. CONS: Locked rest rooms due to some low-income people infractions. Some yearly RV'ers have some untidy sites. We camped at Zuni Village RV Park in a Motorhome. Go the the Visitors center, Rt66 museum and electric car museum.Avoid the greasy spoons. Spent $50 each at Cracker Barrel and Rutherfords Family Diner for three of us. Not impressed. Lots of shopping and restaurants. Grand Canyon Caverns, Oatman, and Laughlin are short drives. There is actually a lot to see close by down Route 66. I will take advantage of that next time. Just an overnight for me for ultimate destination tomorrow. Close to everything. If you're interested in a resort....this is not for you. 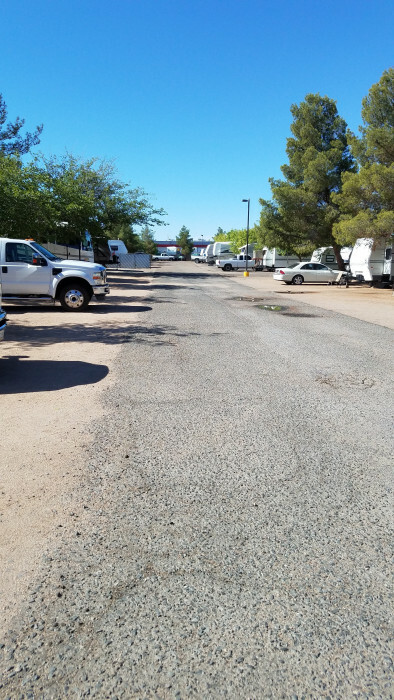 If you are interested in a quiet,clean,friendly and convenient rv park at a reasonable price this is the place. Easy access from and to I-40 and also the surface street to the downtown area where the museums and points of interest are. Close to a grocery store. The lady in the office was very nice and helpful. We checked out three other parks in the area and are very glad we made our reservation here. Lots of good Eating places...Lins New York Chinese style food, Excellent.Also Rutherfords 66 Family Diner excellent. Old downtown has been revived and nice Antique shops. Wal mart close to the Zuni RV park Village. Start/end of Rte. 66 100 mile drive between Kingman and Ash Fork AZ. Visit the Tourist information center in town for Rte. 66 gift items. Take the walking tour of Kingman. Visited the Skywalk on the west side of the Grand Canyon and Lake Mead. Drove to the south rim of the Grand Canyon. Drove into Bullhead City. Kingman very easy to navigate from this park. Enjoyed the Rt 66 Museum while we were here. 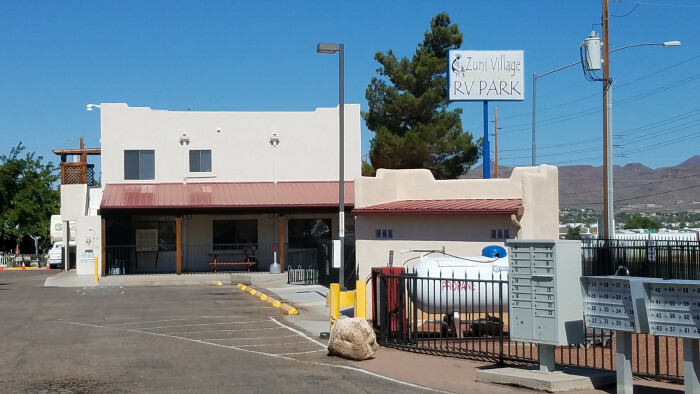 Are you affiliated with Zuni Village RV Park ?